SCA is a leading global hygiene and forest products company. In 2014 sales were approximately 104 billion Swedish kronor ($12.5 billion) and the company has about 44,000 employees. 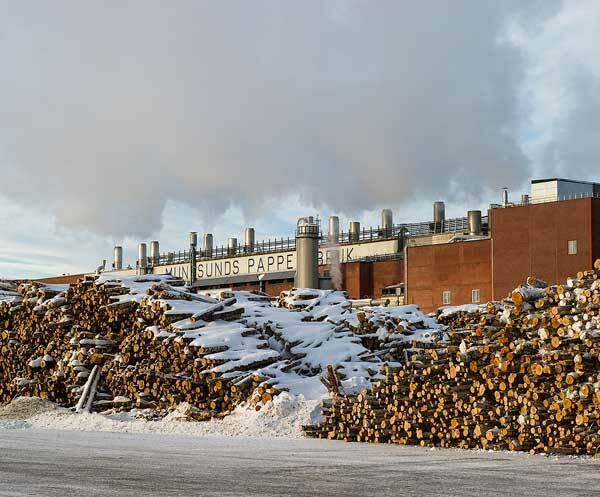 Every day at the Munksund paper mill in Piteå in northern Sweden, more than a thousand tons of trees are mechanically pulped and turned into material for one of the most common consumer goods in the world – packaging. The mill is owned and operated by Swedish forestry giant SCA and is a profit center for the group. Corrugated packaging is used to package everything from microwave ovens to iPhones and iced fish. The octabin, for example, an eight-sided box big enough to house two or three washing machines, is often used to dispense potatoes at supermarkets. 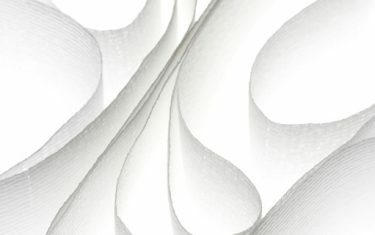 In addition to durability, such packaging also needs to be printable for four-color in-store displays, hence the need for white and brown paper. Double-trailer trucks supply the mill with timber from nearby SCA-owned and sustainably managed forests. Fiber is also supplied from recycled packaging. In the mill, a special industrial-sized blender is used to blend together bales of recycled cardboard into a smooth mixture. 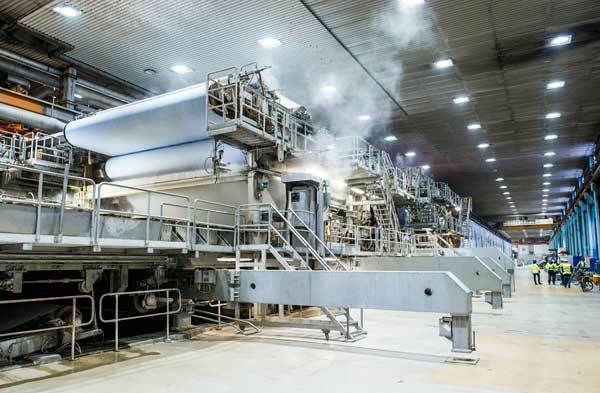 Today, the Valmet paper machine PM 1 in Piteå produces 3,600 feet of kraftliner paper per minute. The paper is delivered in 66-ton rolls. SCA has invested heavily in making the most of Munksund. 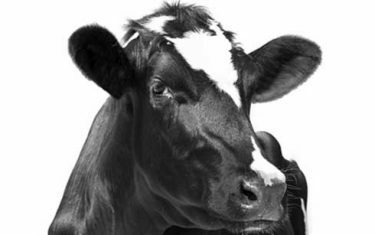 This includes building a new press section, installing an improved reel-wrapping line and building a new wastewater treatment plant. 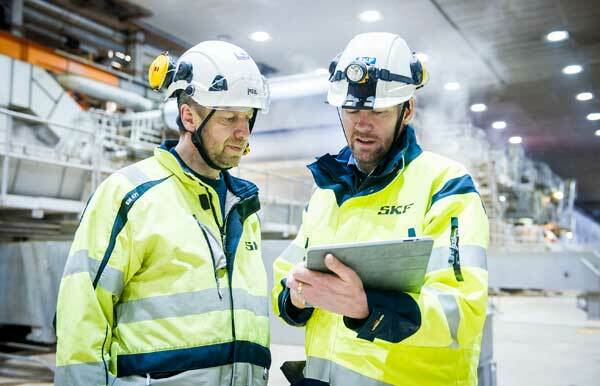 In 2014, Munksund began installing SKF condition monitoring systems in the mill. 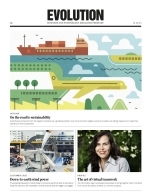 In 2012, a 500 million Swedish kronor ($60 million) investment introduced a new lime kiln that runs on biofuel. 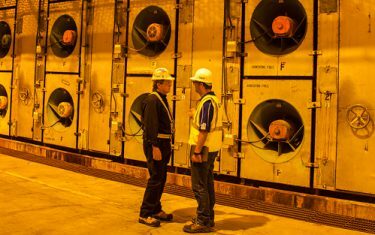 The lime kiln is part of a chemical recovery system to reduce CO2 emissions by 75 percent. 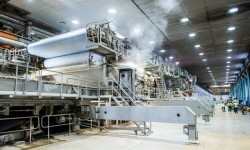 The kiln uses wood pellets instead of fuel oil to create the required heat to produce paper. 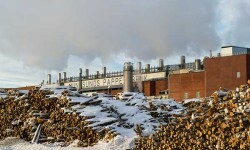 A major proportion of these pellets are supplied by SCA’s nearby sawmill, also located in Piteå. The total kraftliner production in Munksund in 2015 is budgeted at 430,000 tons, up from 407,000 tons in 2014. The aim is to ratchet up production to 458,000 tons. 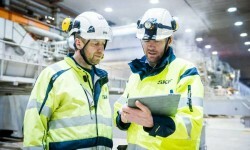 SKF received an order from SCA Munksund in March 2014 to install the SKF IMx online condition monitoring equipment on 780 specially chosen PM 1 roller and pump bearings throughout the mill. 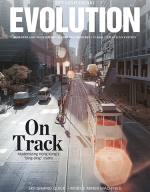 The installation included CMSS 2200 sensors with yellow, ­heat-resistant CMSS R6SL-J9T2A cables, 27 IMx connection boxes, training and SKF @ptitude Observer software. SKF is also a key supplier of standard and specialty bearings to the mill, as well as handheld condition monitoring systems for some 10,000 vibration points on pumps, rotors, motors, fans and other moving parts.